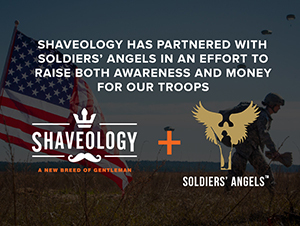 Shaveology has partnered with Soldiers' Angels in an effort to raise both awareness and money for our troops. From now until Fathers' Day (Sunday, June 19th), Shaveology will donate 15% of all revenue to Soldiers' Angels. Check out all of their great shaving accessories here.